The first step of making this amazing thing is to roast the peanuts. Preheat the oven to 150 C degrees. Place the raw peanuts on a baking sheet or other baking dish. Sprinkle them with some water and a little bit of Himalayan,sea or table salt. Put the baking sheet in the oven and roast the peanuts for about one hour.Stir them every 10-15 minutes. After the peanuts are roasted,remove the baking sheet from the oven and set aside to cool down completely. In a high speed blender or food processor,add the roasted and peeled peanuts.Add the coconut oil. 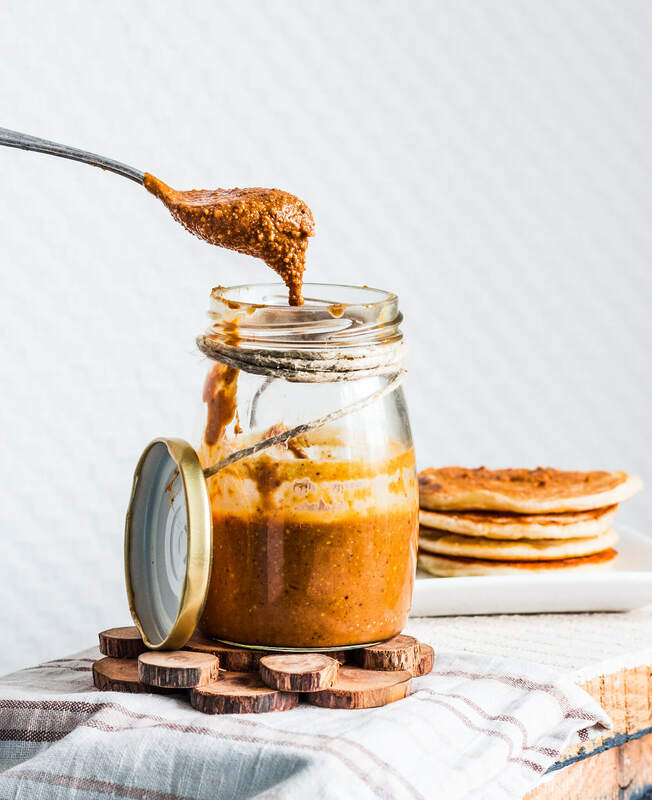 Process until you have creamy texture.Maybe,you will have to scrape down the sides of your blender or food processor,because the peanut butter will be sticky. Blend until you reach the desired consistency.If you like it more crunchy,don not blend too much.If you want it creamier,blend more. And that is it.You just have made your own healthy peanut butter at home. 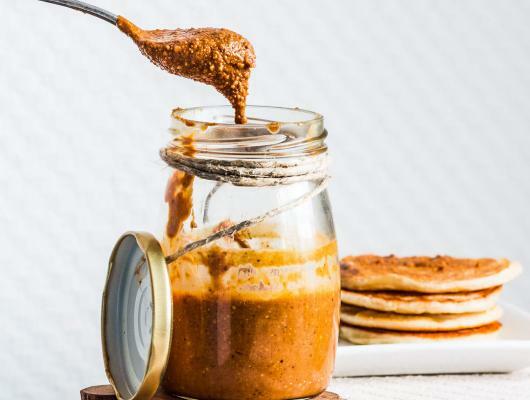 Making creamy and yummy peanut butter at home is more than easy.The peanut butter recipe is so easy to make and prepare that it can hardly be called “recipe”.